Breathing is so natural. We do it without thinking – inhaling and exhaling more than 20,000 times a day. Almost everyone knows that breathing polluted air is bad for your health. But what most people don’t know is that the air in your home may contain an alarmingly higher level of pollutants than outdoor air – as much as two to five times higher, according to the U.S. Environmental Protection Agency (EPA). Pollutants? Where? In my home? Unfortunately, for virtually every home in Montgomery County, the answer is “yes. Pollutants in your home come from both outdoor and indoor sources. Outdoor air pollution can enter your home through doors and windows, but it also infiltrates through hidden cracks and holes in your walls, floors, attic and basement. Outdoor pollution includes automobile fumes, ozone, and particulate matter (such as smoke from coal-fired power plants). For some people, pollen is a pollutant because pollen triggers allergies that make them sick. Indoor air pollution includes irritants and respiratory triggers that come from indoor human activities. Pollutants that are bad for everyone include acrolein (formed from the breakdown of burning organic matter) and particles from cooking, mold and mildew from moisture buildup, formaldehyde off-gassing from building products and furniture, and volatile organic compounds (VOCs) in cleaning products, paints and adhesives. For some people, dust mites, pet dander from cats and dogs, cockroach frass, and other allergens are pollutants that can make them sick. Asthma cases are growing quickly – a 60 percent increase since the early 1980s, according to the U.S. Centers for Disease Control. Allergens and pollutants in your home’s air can lead to colds, flu, and severe allergies, and more serious chronic respiratory illnesses, including asthma and COPD. The most common indoor trigger of respiratory illnesses is the household dust mite, which can cause and exacerbate asthma in children and adults. Dust mites are “the largest trigger for asthma and allergies,” according to a 2012 U.S. Housing and Urban Development report. A study (Arbes et al. 2003) found that 46 percent of homes have dust mite allergens at a level high enough to trigger asthma symptoms, and another 24 percent have a level high enough to cause severe asthma. Dust mite levels increase in high humidity environments. Similarly, mold can cause serious respiratory issues, and mold needs a high humidity environment. So what can you do to take steps to make your home a healthy home in both the short term and long term? 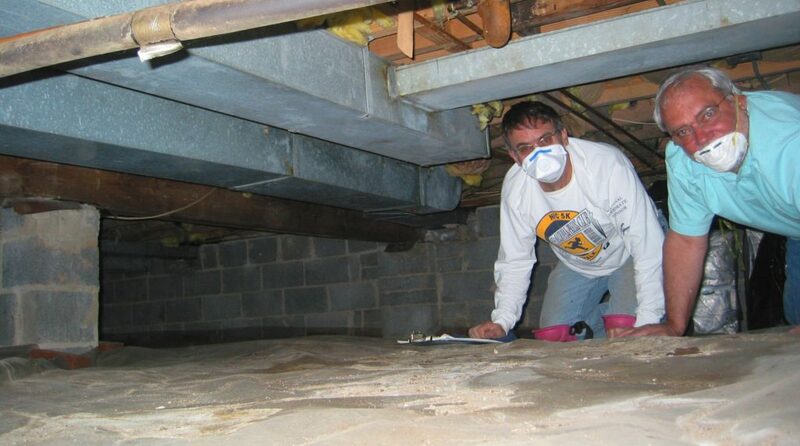 Seal air leaks in attics, basements, crawl spaces and walls to keep out unwanted pollutants. Professional weatherization companies, such as those in the Pepco Home Performance program, have specialized expertise in sealing air leaks. Maintain stable humidity by installing a humidifier for the winter months, and a dehumidifier for the summer months. Keeping your home in the 30 – 60 percent relative humidity range year-round prevents mold, dust mites, and many viruses from growing in the first place. Insulate exterior surfaces to keep temperatures more even throughout the year, and to prevent moisture from building up on exterior surfaces. Improve ventilation and air flow. Seal your duct system to help get air to each room. If you have rooms with little air flow (and damp smells), this is a fixable issue. Then make sure your duct system is properly sized for your HVAC system. Most homes 20 years and older have serious problems where supply and return duct systems are not balanced, and that means air is not being cleaned sufficiently. Upgrade your home’s central air filter. We recommend MERV 13 or higher, which typically requires you to upgrade your filter housing from one inch to four inches wide. These high-capacity filters do a much better job of preventing pollution from getting to your lungs. If you only have a 1 inch filter width, get the best filter you can! Add a fresh air source. An Energy Recovery Ventilator is a great addition to any well-sealed home. This device provides a constant stream of fresh, filtered air into your home. It also pulls polluted air out of the home. Thus, you can dilute any pollution sources that are inside the house (to prevent allergic reactions), and then push the polluted air through the return system and out of the house. Upgrade your cooking range hood. Most range hoods are not effective at removing pollutants that come from cooking. You want to get a good range hood that pushes air outside (even for electric stoves, the pollution needs to go outside), always cook on the back burners, and always turn the exhaust fan on high speed when cooking. Upgrades such as these will help to minimize allergy, asthma, and respiratory illness triggers in your home while also saving you money on your utility bills and improving comfort. In fact, Maryland residents can receive up to $4,300 in rebates on home performance upgrades from Pepco, BGE, or Potomac Edison. Plus, Montgomery County offers a $250 property tax credit for energy efficient home improvements. You spend 70 percent of your life in your home, so why not clear the air? 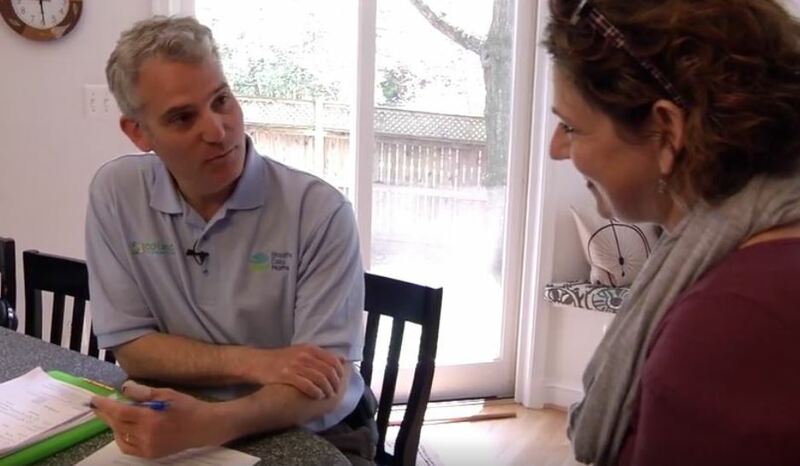 Reuven Walder is co-founder of Breathe Easy Home (www.BreatheEasyHome.com) of Rockville, Md., a division of ecobeco.